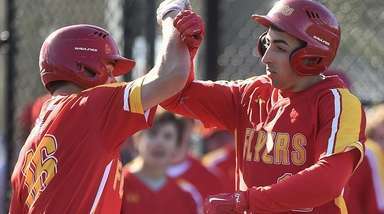 For the Bay Shore baseball team, playoff games are nothing new. After all, the Marauders have been playing playoff-like games all week. They needed to win their last two regular-season games to reach the postseason. 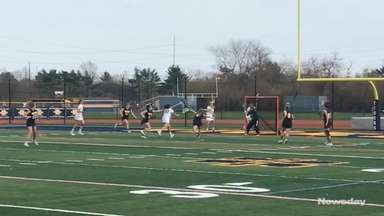 Once they did that, with victories over Copiague and Half Hollow Hills East, it was easy to ratchet up the intensity for Friday afternoon's Suffolk Class AA outbracket game against visiting Eastport-South Manor. "The wins we had late in the season were like extra playoff games," third baseman Hermes Abreu said. "If we didn't bear down and win those games, we wouldn't be here." But they are here, and they brought their bats with them. 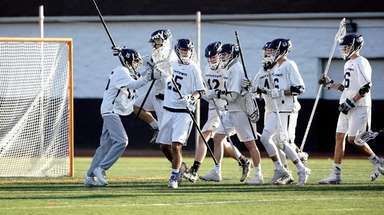 Those sticks came alive early and often for 17th-seeded Bay Shore in its 14-9 victory over 18th-seeded Eastport-South Manor. Bay Shore (11-10) will face sixth-seeded East Islip in the Class AA first round at 10 a.m. Saturday. Abreu went 2-for-3 with a walk and three RBIs. Brian Weissert was 2-for-3 with a walk, two RBIs and three runs. 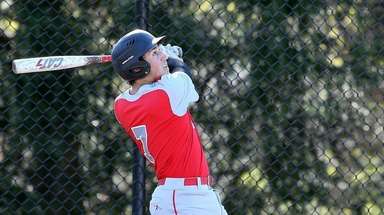 Bay Shore took control of the game with a five-run fourth inning. Consecutive RBI doubles by Abreu and Weissert gave the Marauders an 8-4 lead, and Joe Reilly's double later in the inning increased the lead to 11-4. "He was throwing me a lot of change-ups away," Abreu said. "He was trying to keep me off balance and not have me hit a ball opposite field. On 3-1, he gave me a good pitch down and in. It was perfect and I drove it into the outfield. It felt great." Joe Chionchio's three-run triple in the fifth gave Bay Shore a 14-4 lead. "I knew I had to go up there with a short swing," he said. "I went with a two-strike approach and swung at anything that came my way. I put the barrel on the ball and it got through. " Chris LaRose earned the win in relief, pitching three scoreless innings before running into trouble in the sixth. Eastport-South Manor (9-11) scored five in the sixth, capped by Ryan Lennon's three-run home run. 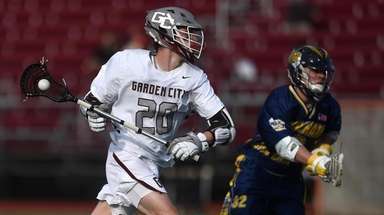 Despite their low seed, the Marauders do not believe a run to a title is out of the question if they hit the way they did Friday. "With all this momentum we have right now, if we do what we need to do, no team has a chance to stop us," Abreu said. "We've been playing with high intensity,'' Weissert said, "and we plan to keep it that way."